FBI officials are asking San Diegans to be on the lookout for a missing Seattle boy and his father who may pass by the area on their way to Mexico. 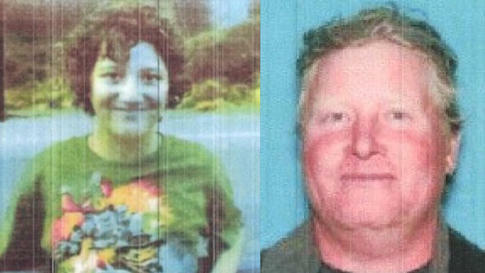 They believe Billy Ginger Hanson, 9, has been abducted by his biological father, Jeffrey Ford Hanson, 46, who may have taken to the high seas with the boy. Law enforcement is concerned for the child’s safety because they say Hanson is extremely volatile. Billy was supposed to return to his mother in Pennsylvania on Sept. 4, but he never boarded the flight. The FBI believes Jeffrey and Billy Hanson may be aboard a white 1976 Cooper sailboat like the one pictured here. King County Sheriff’s Dept. The FBI says Hanson, a known drug abuser, may be illegally taking his son to Mexico, the San Juan Islands or Tahiti in a 1976 Cooper sailboat with a 6-inchy red stripe along the side. The vessel named “Draco” has a Washington license plate of WN6783NZ. In case they pass by the California coast, the agency has raised alarms here. Billy is described as a Caucasian boy with brown hair and brown eyes, weighing 90 pounds and standing 4-feet tall. Hanson is a Caucasian man with blonde hair and blue eyes. He stands 5-foot-5 and weighs 160 pounds. The FBI has issued a warrant for his arrest, accusing him of violating the international parental kidnapping statute. If you know anything about the Hansons’ whereabouts, call the San Diego FBI office at 858-320-1800, the Seattle FBI office at 206-622-0460 or 911. This entry was posted in Uncategorized and tagged Abducted, Abduction, American, Billy, Billy Ginger Hanson, Boy Abducted, child, Child Recovery Services, children, FBI, Ford, Ginger, Hanson, International, Jeffrey, Jeffrey Ford Hanson, Mexico, Parent, Parental, SD, Seattle, United States, US, USA, WN6783NZ. Bookmark the permalink.